Water Based paint markers work on practically any surface including metal, pottery, wood, rubber, glass, plastic and stone. The quick drying ink is opaque and glossy on light or dark surfaces. Premium fine point tip water-based paint markers that are easy to use, as their valve-action allows the paint to be free flowing as you to write on almost any porous or nonporous surface. 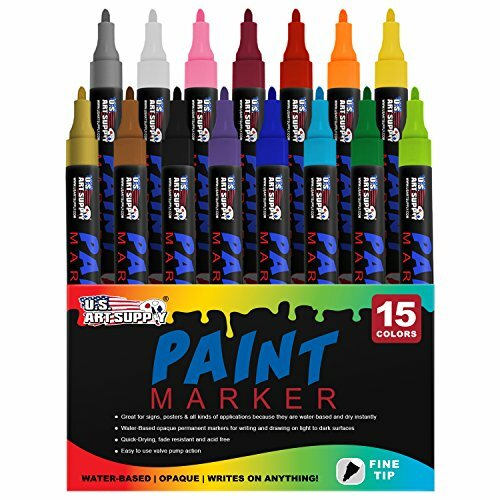 Quick drying water-based opaque glossy permanent paint markers that look great on both light and dark colored surfaces.